A couple of weeks ago the Creativity Lab’s BioSim Project ran some preliminary testing at the Boys and Girls Club of Ellettsville. Our team used this time to critique our research methods. The BioSim team spent four days with the kids at the Club. They closely examined how the kids reacted to each part of the exercise. Over the four days the kids learned about how honey bees feed themselves by collecting nectar and making it into honey. The kids then simulated this process with electronic bee puppets. They took turns searching for flowers with the most nectar. At first their nectar searching was random. Each kid spent a lot of time searching through each flower to find the ones that had more nectar. Many times the kids searched so long that their bees ran out of energy and died before they could make it back to the hive. We began to teach them that bees communicate the location of nectar with each other. At first we let the kids tell each other where to find the most nectar. This time they collected more nectar and none of the bees ran out of energy. Honey bees communicate by dancing. The do a sort of waggle up the middle then either turn right or left and loop back. By doing this they communicate to other honey bees the distance and direction of flower with a lot of nectar. The waggle dance: By doing their dance, honey bees communicate to each other the location of flowers with lots of nectar based on the angle between the sun, hive and flower. We challenged the kids to create their own dances to tell each other where the flowers with the most nectar were. At first the kids had trouble gathering their thoughts. Some kids tried to make up dances as they went along and others didn’t know what dance their hive was doing from the beginning. As time went on they learned that without a descriptive dance that everyone could understand, they weren’t effective at collecting nectar. On the final day of our visit one girl took her bee dance to the next level. She took it upon herself to teach the rest of her hive a dance that mimicked the one that the actual honeybees do. She wiggled up the middle then looped back either on the left or right to signify the direction and distance of the flower with the most nectar. As a result of her creative thinking her hive collected more nectar and won the competition. By the end of our time with the kids it seemed like they had grasped a strong understanding of the complex system of honey bees. The world is made up of complex systems, which makes it imperative that students learn to understand them. Young kids are continually underestimated in their cognitive abilities yet they are able to understand the complex system of honey bees. We were pleased with how our preliminary testing went last week but we also discovered multiple things for us to improve upon. Thanks to the Boys and Girls Club of Ellettsville, we are one step closer to a successful implementation. 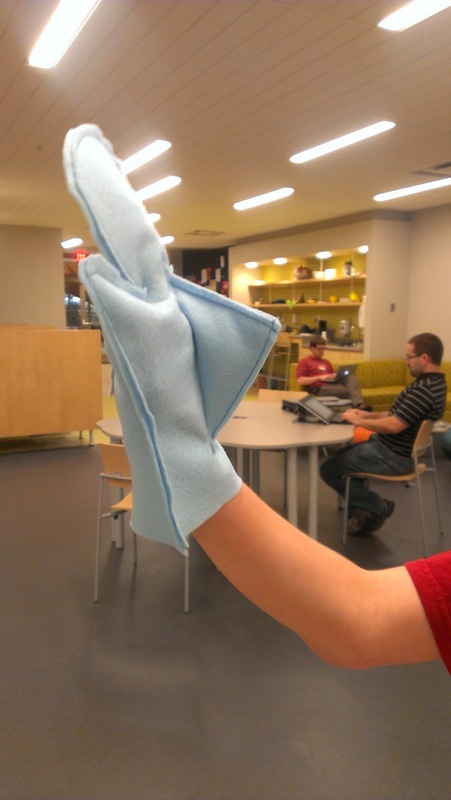 This summer, Creativity Labs members Verily Tan, Naomi Thompson, Tony Phonethibsavads, Anna Keune, and Sophia Bender have offered two sewing-related workshops at the new teen space known as the Ground Floor at Bloomington, IN's public library. 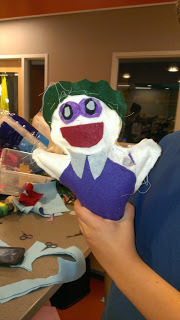 As part of the library's Summer Maker Days, we facilitated a Sew Your Own Bookmark Book-Light e-textile workshop on June 1 and an Intro to Sewing puppet-making workshop on July 6. 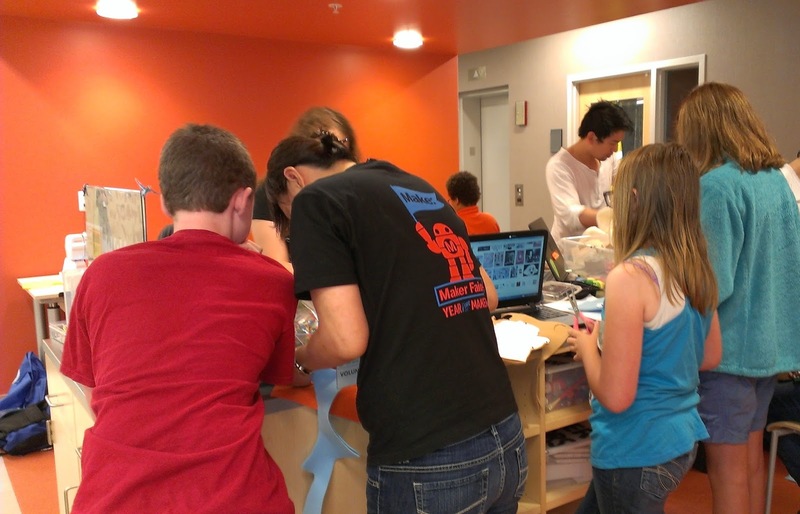 The Ground Floor is a very open-ended space where teens between the ages of 12 and 19 can come and hang out with their friends, mess around with craft supplies and digital tools, and geek out around their favorite stories, video games, or creative projects. The nature of the space is such that our workshops were open to anyone who wanted to drop in and make something. At the e-textile workshop, we saw a range of skill levels, from those who had never sewn before to those who had attended our LilyPad workshops before. 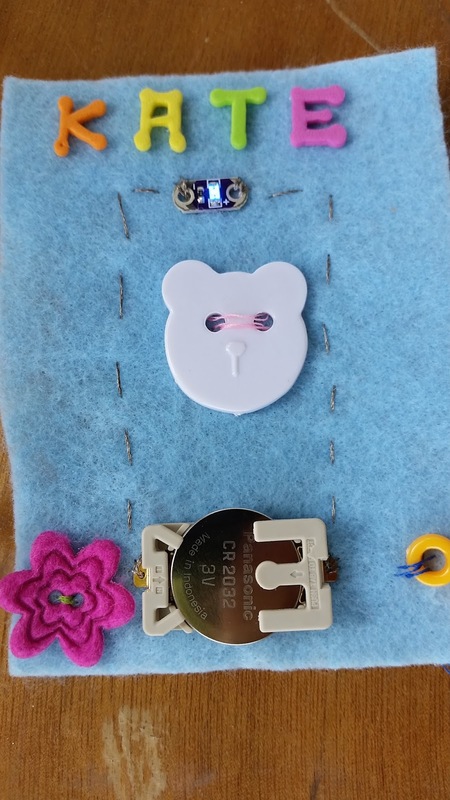 They were all highly engaged in sewing a LilyPad LED to a battery holder with conductive thread, and then decorating their felt bookmark. 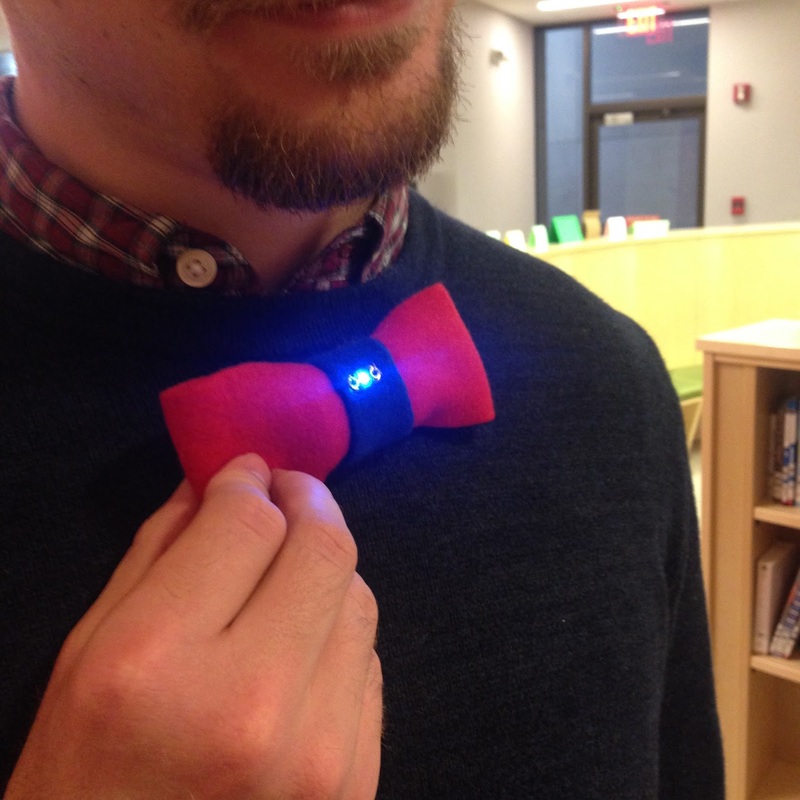 Some made light-up bows rather than bookmarks, and some took on the challenge of sewing two LEDs instead of just one! 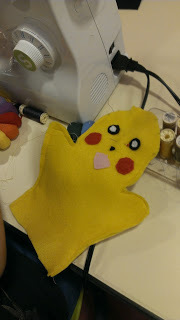 At the Intro to Sewing workshop, we set up four sewing machines in the space and helped several teens to both hand-sew and machine-sew hand puppets. 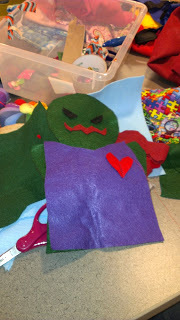 Most of the teens drew on their favorite media for inspiration on what kind of puppet to make. 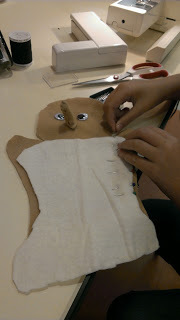 Everyone ended up using a sewing machine at least a little bit, and even those who had never used one before caught on quickly and ended up with highly successful and creative puppets! Verily and Tony hard at work helping teen sewers with their puppets. 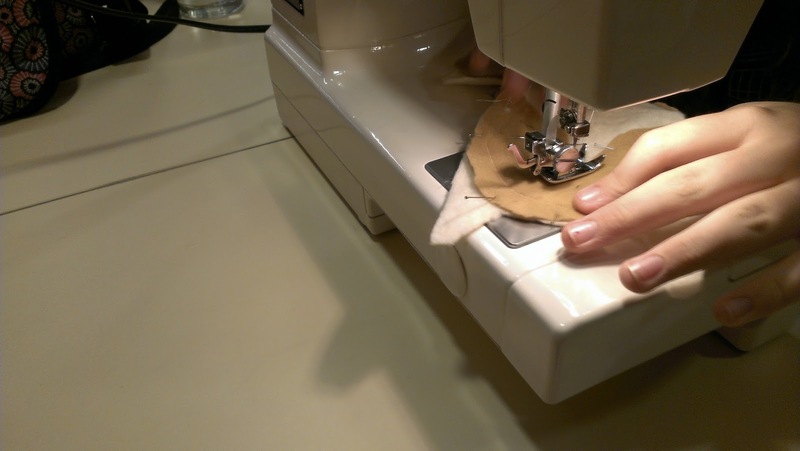 A teen works on sewing her corgi puppet. 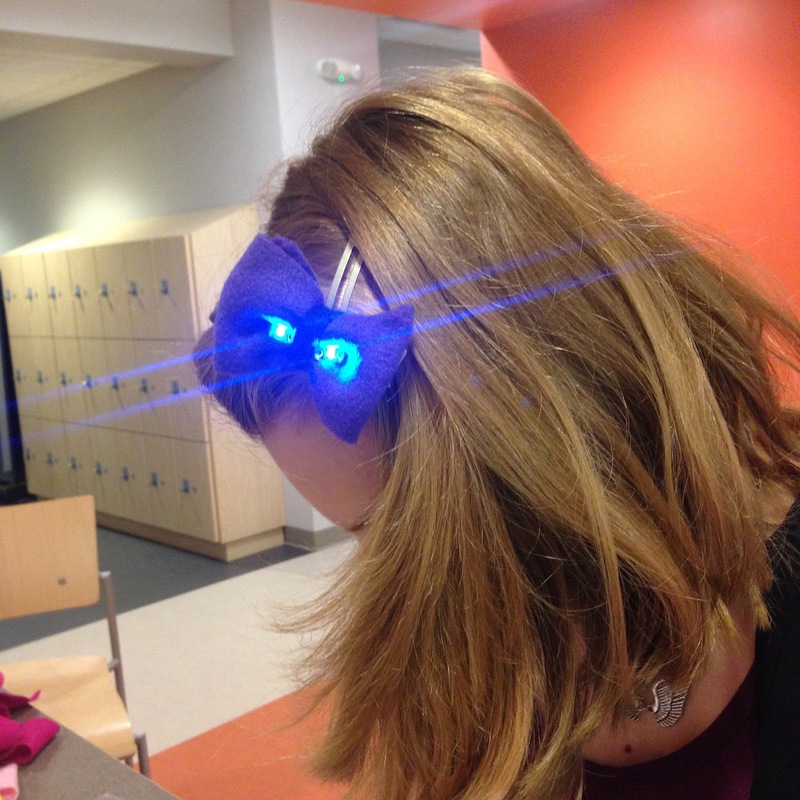 As always, we were blown away by the great hands-on learning and creativity we saw at these workshops! Thank you to teen librarians Kevin MacDowell and Becky Fyolek at the Ground Floor for inviting us and making this wonderful outpouring of teen creativity possible! The World Children's Festival is an annual celebration of creativity, diversity and unity, with participants from all over the world. 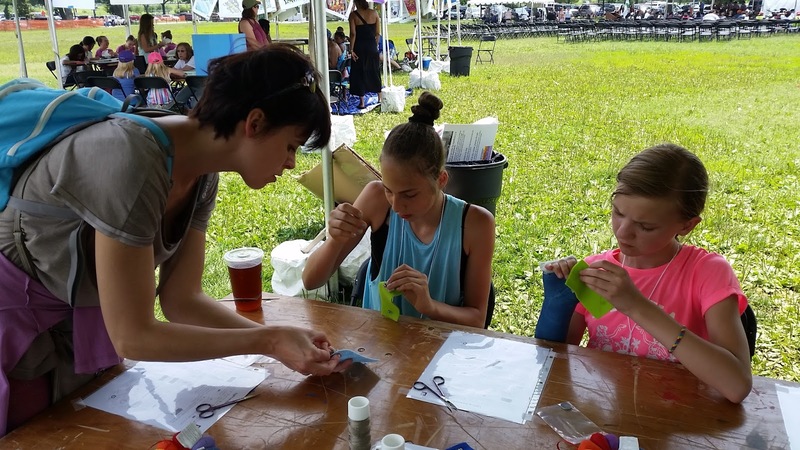 The theme on Jul 1 was Creativity and Imagination, and Creativity Labs hosted a LED Light-Up Bookmark activity at one of the tents between 2-4pm. Sophia Bender, Anthony Phonethibsavads and Verily Tan helped close to 70 participants sew the Light-Up Bookmark on felt material. This consisted of an LED, and a battery holder. 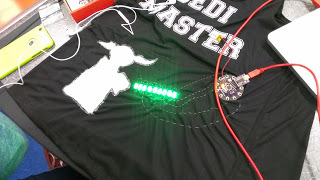 When the positive and negative lines have been sewn with conductive thread, putting a 3V battery into the battery holder causes the LED to light up. Children were fascinated, and excitedly sewed the lines for their LED to light up! Some children decorated their bookmarks with beads, sequins and fabric markers. The event was indeed an international encounter for the facilitators - we had participants from Poland, Germany, China, and Korea. There were also Americans from across the country. 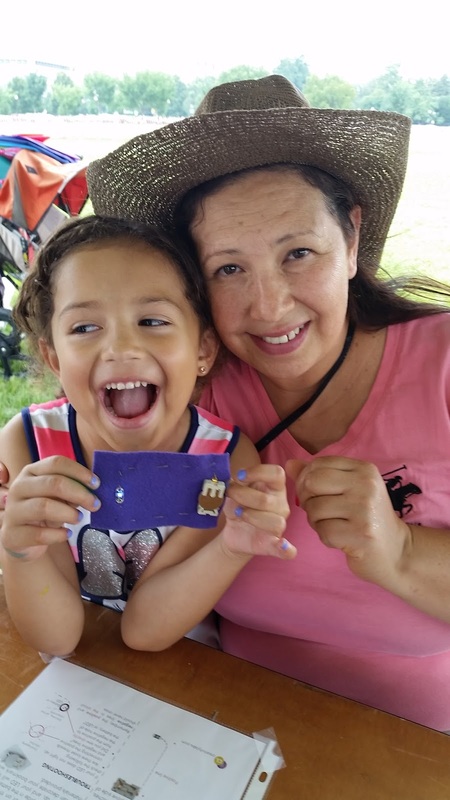 Many children came with their parents, or mentors - and they made bookmarks together. It was a lovely sight to see mothers guiding their children with the sewing, following the instruction sheet or receiving help from the facilitators. 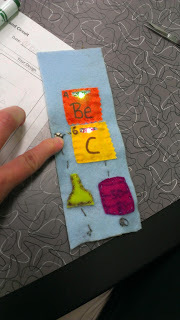 We invited parents to create their own bookmark, and in many cases, both parent and child left with Light Up Bookmarks! The children who participated were between 5-15 years of age, and it was interesting working with them. There was a group of girls from Texas who were performing at the Festival. One by one, they brought their friends and guided each other in the sewing. We were inspired by some of the very young children who were determined to sew and complete the Bookmark - we supported them, sometimes holding the felt material for them as they manipulated the needle and thread. Reflecting on the two hour activity, we love the creativity and diversity of the children, and the inter-generational making. This really was a celebration of creativity, diversity and unity! One of the well-decorated bookmarks! Mother and daughter from California: Smiling with success! 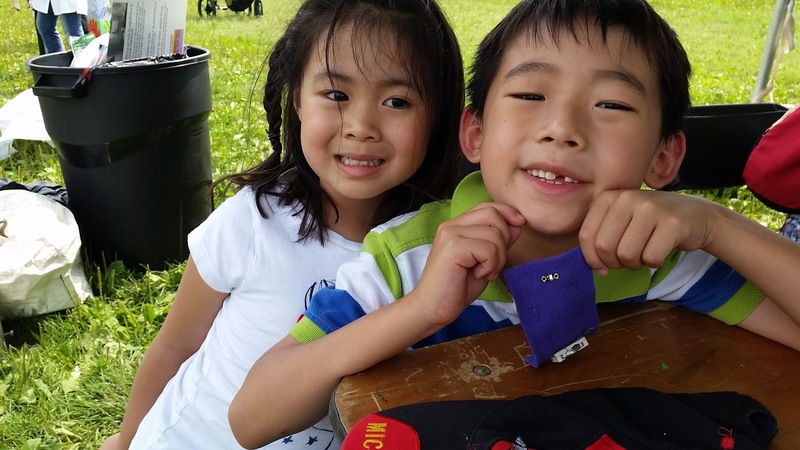 Siblings from South Korea: Happy with their bookmark! This June, the Creativity Lab Team has introduced two new undergraduate members to the lab, Alex and Sam. They are both working with the BioSim Project and are eager to get started. I’m Sam and I am studying Biology, with minors in Psychology, Chemistry, and Biochemistry, at Indiana University. In the fall I will begin my Junior year. I’m an Evans Scholar as well as a member of the Indiana University Swim Team. The Creativity Labs initially interested me because of my strong desire to get involved in research. As I’ve progressed through my science major, my interest in the entire process of research, from formulating questions and hypotheses to publication, has grown. After hearing about the CL and all it’s innovative work I was certain it was something I wanted to be involved in. I have spent several summers working as a swimming instructor. I have worked with large groups and individuals ranging from 4 to 12 years old. I really enjoyed getting to work with kids of various age groups on a day to day basis. My most effective lessons were when I made the learning and swimming fun for the kids. After learning this I’m very excited to start working in the field with the BioSim play to learn model. Additionally, I have experience working as an Undergraduate Teaching Assistant in the Biology Department at IU. The Biology students I worked with gave me the opportunity to further my teaching abilities while enhancing my speaking skills. The CL gives me the opportunity to combine research and my experience with children and as a teaching assistant to a single place that’s changing the way we think about education and cognitive development. With this excellent opportunity to work with such a qualified team, I am hoping to further my own abilities as a researcher, find out if research is something I want to pursue long term, and to make a contribution to science and education. If I were to pursue research after graduation I could see myself working in some sort of cognitive development lab or a biology lab. I’m particularly interested with the human brain as well as the molecular side of biology. Working on the BioSim project is some of the best experience I can get, especially if i pursue cognitive development. As I’m getting started I’m most excited to start working with kids. I really think that the research here is making a huge difference for kids, both immediately and in the future of education. The complex systems that we work with have incredibly broad applications. By helping young students to master them now, we are creating more thoughtful adults and future scientists that could eventually make revolutionary discoveries. South Fayette School District in the Pittsburgh area has been a hub for educational innovation for several years now, pioneering a STEAM (Science, Technology, Engineering, Art, and Math) Studio model and hosting the STEAM Innovation Summer Institute to train educators to spread these innovations to their own classrooms. 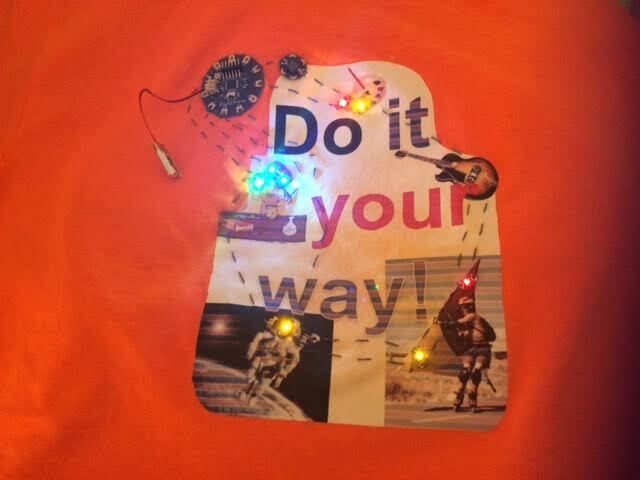 The Creativity Labs has worked with them before (links) to provide professional development in e-textiles. 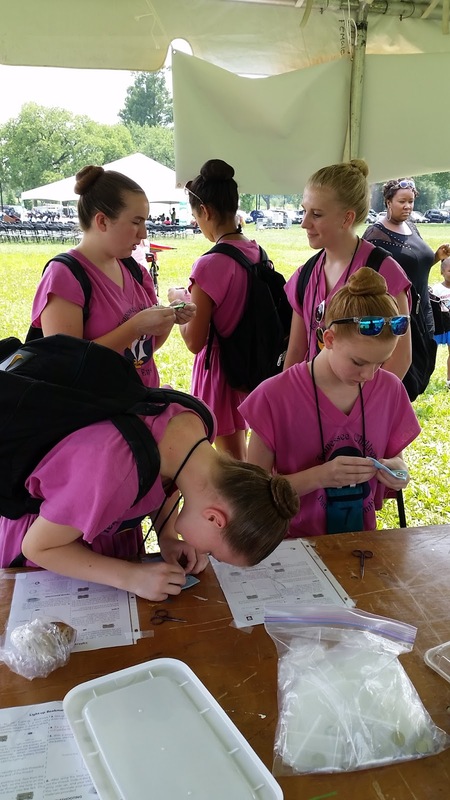 This summer, we were happy to do so again as part of our summer service activities. To learn more about the awesome e-textile projects pictured here, read the rest of the post below! As part of the STEAM Innovation Summer Institute last week, South Fayette invited teachers from across the western Pennsylvania area to participate in STEAM workshops ranging from robotics to game design to environmental literacy. 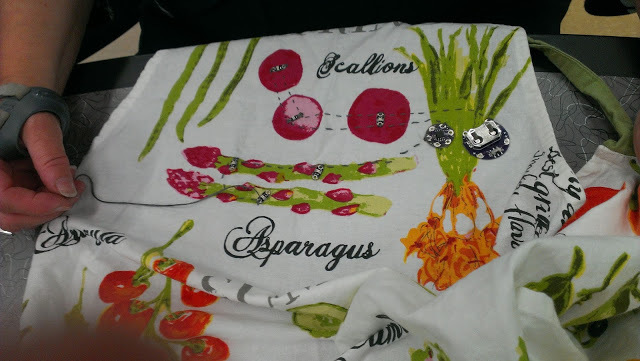 Five participants--three science teachers and two Family and Consumer Sciences (FCS) teachers--chose to attend an e-textile workshop hosted by the Creativity Labs and our partners at Sparkfun Education. For the first two days of the workshop, Sophia from the Creativity Labs led the teachers in learning about circuits, creating an e-bookmark project, making a LilyTiny project of their choice, and beginning to program in Modkit Micro. Even those teachers who were not well-versed in sewing enjoyed the chance to create and personalize projects that combined crafting and circuitry. This Chemistry teacher's e-bookmark consists of a battery holder on the back, sewn with conductive thread to a push-button switch and two sewable LilyPad LEDs. She customized it to fit her class's theme! 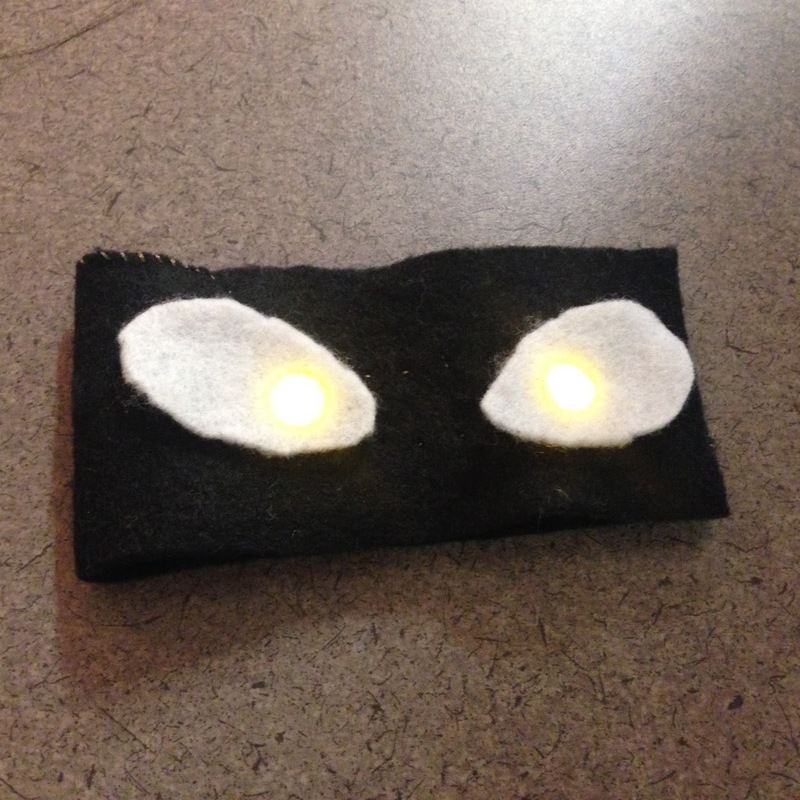 One of the FCS teachers works on sewing LilyPad LEDs to the pre-programmed LilyTiny, which makes the lights flash in different patterns. 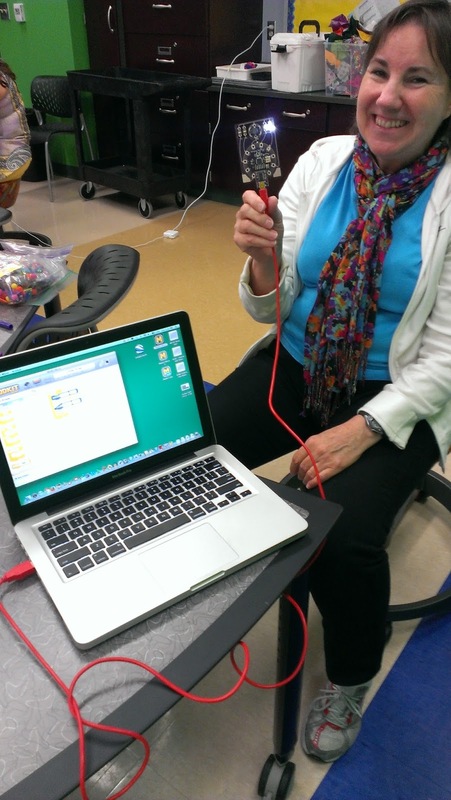 This Science teacher was the first to figure out how to program LEDs to blink in Modkit! On the last two days of the workshop, Angela Sheehan from Sparkfun Education joined Sophia to facilitate working with the ProtoSnap LilyPad Development Simple Board. Angela shared a great many e-textile projects as inspiration, as well as her expertise from a great deal of work on e-textile workshops with teachers and youth. On the last day of the workshop, Angela shared some insulation techniques such as using fabric glue or iron-on interfacing to shield the conductive thread stitches from touching each other and causing dangerous short circuits. 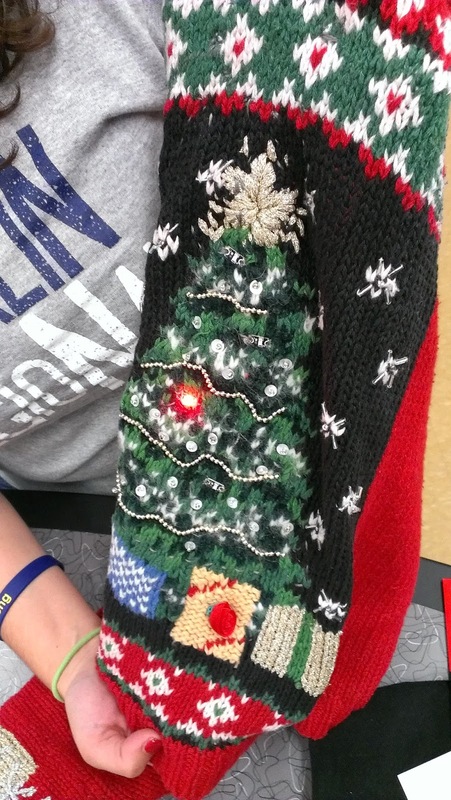 This Science teacher sewed two red and two green LEDs onto this ugly Christmas sweater. Her buzzer plays "Jingle Bells." The LilyPad and buzzer are both on the underside of the sweater. 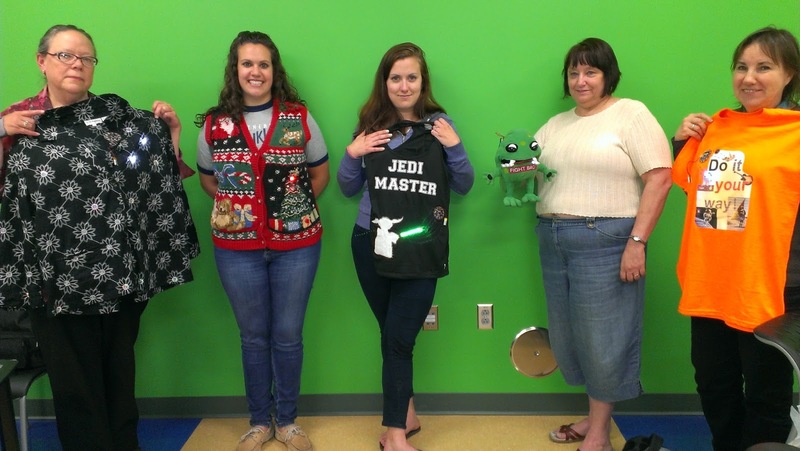 This Science teacher used iron-on decals to attach the "Jedi Master" letters to this jersey, and sewed on a white Yoda patch. 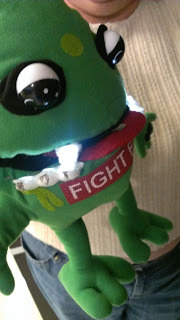 She programmed the lights to flash in order from Yoda outward, mimicking a lightsaber coming to life. This FCS teacher added lights to the teeth of "Bac-Man," a bacteria monster puppet used to teach kids about hygiene. She added a tongue with a momentary switch made of conductive fabric, so that the lights light up when the puppet's mouth is closed, and the puppet makes a noise from the buzzer when the mouth is opened. 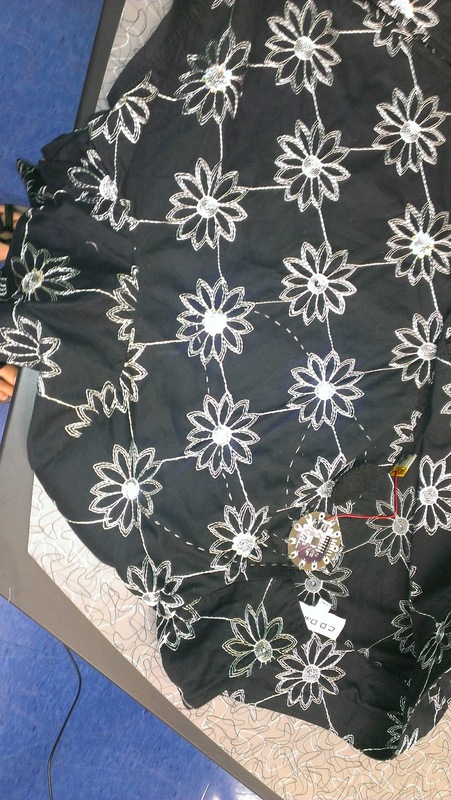 This FCS teacher decided to attach both her LilyPad and buzzer to this jacket with snaps so they could be removed when the jacket needs to be washed. She added four white LEDs, and her buzzer plays "Morning Has Broken." This Science teacher designed a print-out iron-on decal that contained all of her favorite things, ironed it onto the shirt, and then added nine lights in varying colors and a buzzer that plays the chorus from "Girls Just Wanna Have Fun." The Creativity Labs was proud to continue our relationship of innovation with South Fayette School District and Sparkfun Education! 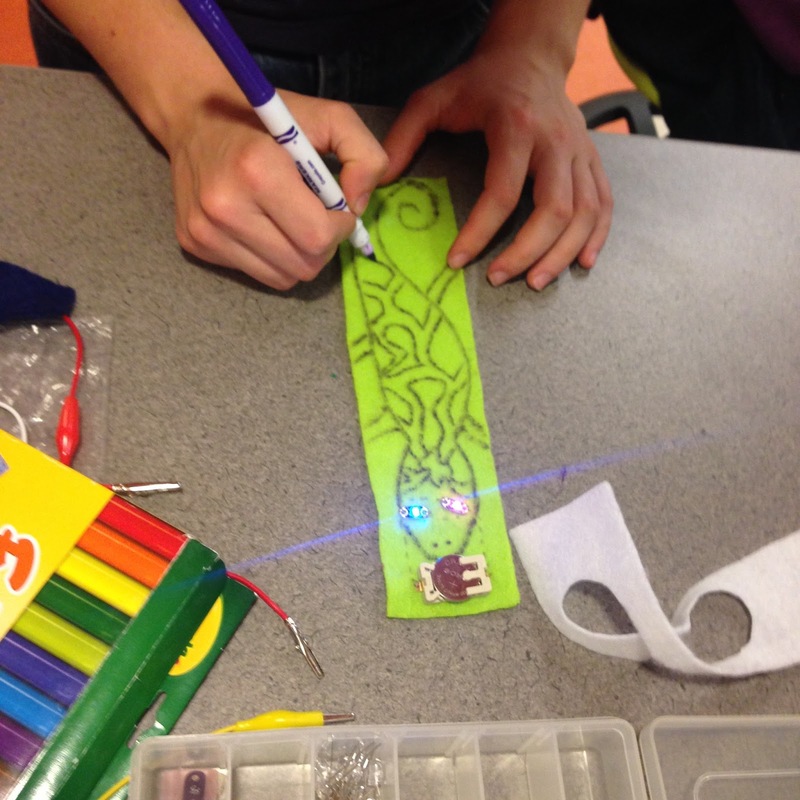 We wish our teacher participants all the best as they bring e-textiles back to their classrooms! Special thanks, as always, to Aileen Owens, Director of Technology and Innovation at South Fayette, who invited us, as well as to everyone who helped her to put together this immensely successful STEAM Innovation Institute. This June the Creativity Lab Team has introduced two new undergraduate members to the lab, Alex and Sam. They are both working with the BioSim Project and are eager to get started. I’m Alex, and I am studying Human Biology with a Concentration in Human Health and Disease and minors in Biology and Chemistry. I am entering my junior year at Indiana University and I am also apart of the Hudson and Holland Scholar Program. I was initially drawn to join the Creativity Labs because of my desire to do research that involved children and the mental capabilities that they possess. My prior research experience differs greatly. I first started doing research my junior year in high school doing field work with an ecology biology professor. I found this experience to be really helpful especially when it came time to decide where I wanted to attend school. I was able to build upon the knowledge that I had acquired through basic science classes help my professor advance in her study of fish in the local ecosystem. My research has also brought me to a lab though the evo-devo department at IU; The Mozcek Lab. With these experiences I have gained a passion for research and aspire to continue growing as a researcher and with the opportunity from the Creativity Labs I plan to do just that. My past experiences with children also played a role with me joining the Creativity Lab. I have experience as a summer camp counselor working with children from the ages of 4-17. This allowed for experience with many different age groups. I was able to tailor different skills to fit the personalities and capabilities of all children that I worked with. The experience also showed me that I enjoyed working with younger children and helping them grow and develop socially and mentally. I also have experience as a peer assistant which gave me the opportunity to develop my skills as a leader and as a creative individual in terms of implementing plans and ideas. CL allows me to take my past experiences and my hopes of being a pediatric neurosurgeon and researcher and put them to use. I am able to see how I can help children learn complex systems and ideas and really understand in depth what connections their brains are making. I am also able to help shape and mold minds for tomorrow, so that not only are children understanding material, but they also gain a desire and passion to go and solve new problems in the world and become the scientists and researchers that this world needs in order to progress humanity, this is what I am most excited about in terms of BioSim; watching the children come to the realization that through creative learning and various creativity methods that they too can understand complex ideas.